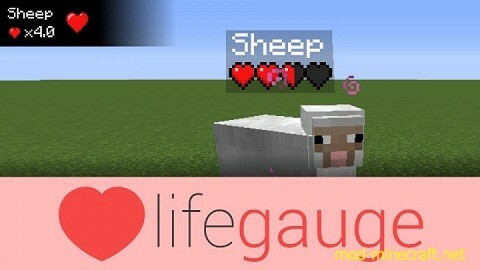 LifeGauge Mod allows players to see the current health of a mob and allows potion effects to be visible. It’s not required to be installed on the server, though. A server can also disable the mod for all the users connecting. You can see the current hearts on the name tag and the total hearts on the black bar. 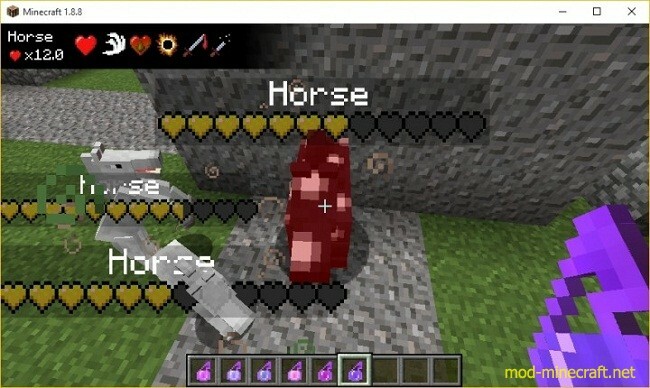 A name tag is always preferred over the normal entity name.